Sony Pictures Television (SPT) has acquired a minority stake in UK-based production company Eleventh Hour Films. 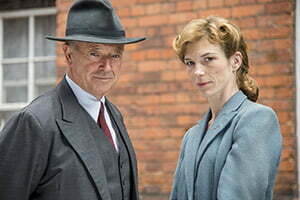 Under the deal, SPT will distribute Eleventh Hour’s drama series and films worldwide. The company has produced series such as Foyle’s War for ITV, New Blood for BBC1, Vexed for BBC2 and, most recently, two seasons of ITV’s Safe House. Eleventh Hour’s senior management team comprises Jill Green, Eve Gutierrez, Paula Cuddy and Nicole Finnan. The investment follows the recent news that Eleventh Hour will produce an eight-part adaptation of Anthony Horowitz’s Alex Rider teen spy novels for SPT. The latter’s international distribution and production units are collaborating to fully fund the series. SPT Distribution and Eleventh Hour are also in partnership on other projects, including eight-part Anglo-American paranormal drama series Rendlesham, which is inspired by real-life events in the 1980s. They are also working on drama The Caine Mutiny, an eight-part event serial adapted by Horowitz from the novel by Herman Wouk. Green, Eleventh Hour’s CEO, is a seasoned creative force in the UK, having previously set up and run Greenlit Productions. Gutierrez joined Eleventh Hour as head of talent and executive producer after working alongside Green at Greenlit Productions, where she produced ITV’s critically acclaimed series Collison and Injustice. Cuddy, the company’s creative director, previously developed Sky’s Strike Back with Left Bank Pictures, which is also part of the SPT group, and script-edited BBC medical drama Bodies, as well as working on BBC1 soap EastEnders. 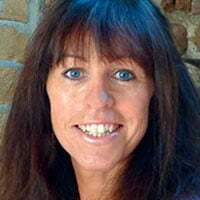 Eleventh Hour MD Finnan joined the company from Ruby Film and Television. Prior to that, she was the commercial and finance director at Ecosse Films for 10 years.